VANCOUVER, British Columbia (AP) - A large fishing vessel swept away by the tsunami that devastated Japan last year has been spotted adrift off British Columbia in western Canada. Jeff Olsson of Victoria's Joint rescue coordination center said an airplane contracted by the government spotted the 50-foot-long vessel recently about 160 miles west of Haida Gwaii, slowly drifting toward shore. The vessel has been identified as coming from Hokkaido, Japan. The Vancouver Sun reports no one is believed on board, according to the ship's owner. 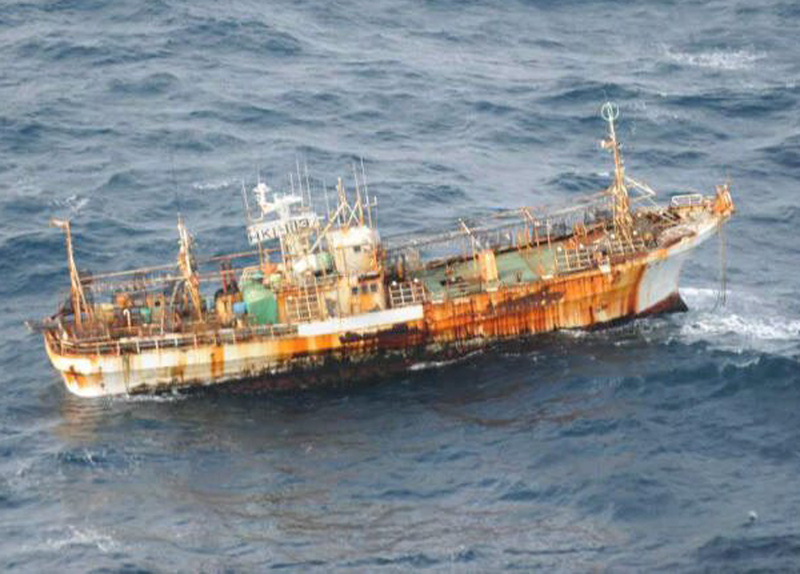 The vessel is one of several Japanese ships swept away by the March 11, 2011 tsunami that are being tracked by authorities, as the debris field edges closer to North America. About 5 million tons of debris were swept into the ocean the magnitude-9.0 earthquake and tsunami struck Japan. Olsson said there is no environmental danger from the ship. But a maritime warning has been issued because the vessel could pose a navigational hazard.